2016 will be the Year of the Brand – a year where familiar and trusted brands have the ability to stand out in a world of sensory overload. Finding unique characteristics could help brands distinguish themselves among the competition. 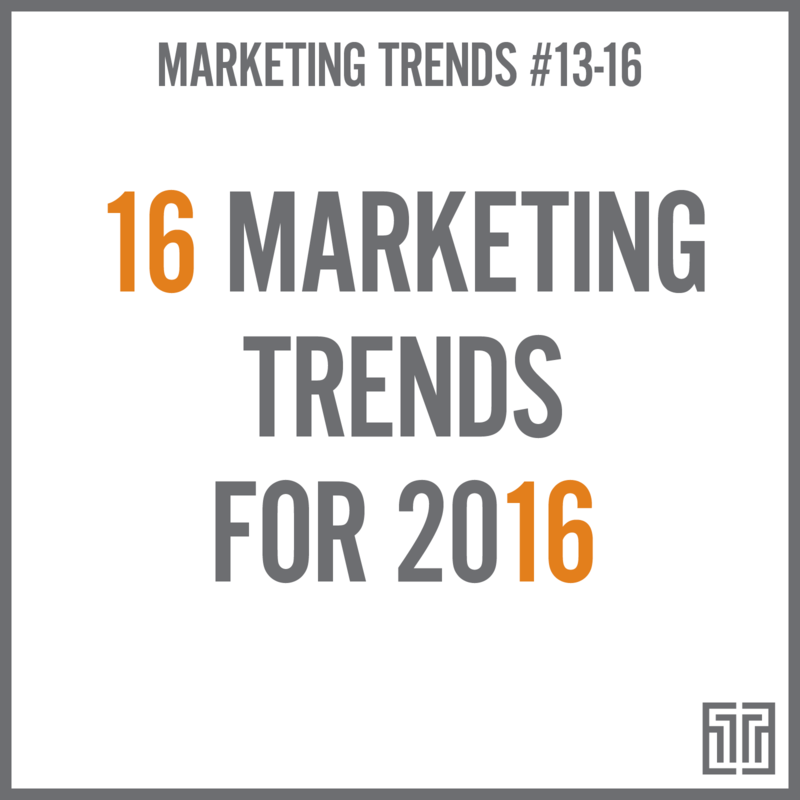 Take a look at 4 marketing trends that will help brands distinguish themselves in 2016! 2 Pulizzi, Joe. “What Effective B2B Marketing Looks Like [New Research]”. Content Marketing Institute. n.d. Web. 1 October 2015. 3 Wells, David. “10 Online Marketing Trends & Predictions for 2015”. InboundNow.com. n.d. Web. 1 October 2015. 4 Huffington Post. “Visual Storytelling: The Big Trend for SXSW 2016”. Huffington Post. 26 August 2015. Web. 1 October 2015.